If you’re looking for strong and sturdy floor that is capable of withstanding standard domestic use then look no further. Our tongue and groove shed floor is available in many sizes ranging from 3 x 6 to as large as 20 x 10. This makes the floor deck ideal for using your outdoor garden building as an entertainment room, storage room or home office. We recommend opting for this flooring upgrade in order to give a nicer finish to the building as well as for providing a stronger alternative to solid sheet. NOTE: Adding this floor will increase the building height by approximately 3cm. 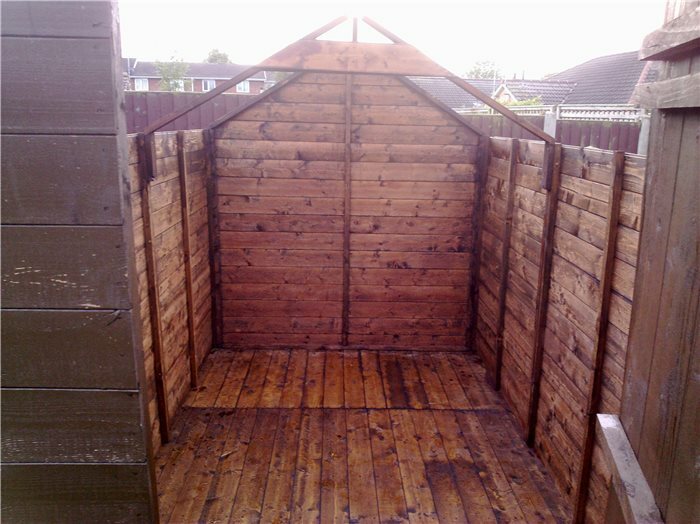 Additionally why not consider the pressure treated shed foundation as this way you are sure to have a garden shed floor that is low maintenance, easy to look after and is likely to last for a long period of time. Please Note: All of our BillyOh flooring options have been specifically designed to fit our BillyOh wooden garden building range and therefore will not be suitable for other buildings.